The building is old, from the 40’s. 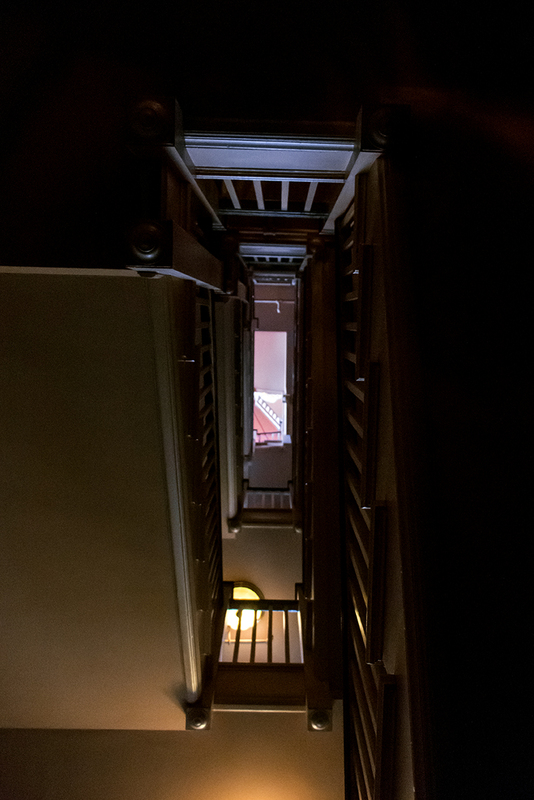 Its interior has all the features of its time: original rippled windows, exposed plumbing, and stairwells. Its within the stairwells that all the interest lies. Its cold, damp, and no matter which direction you look, up or down, the view is the same. Am I going up, or down?